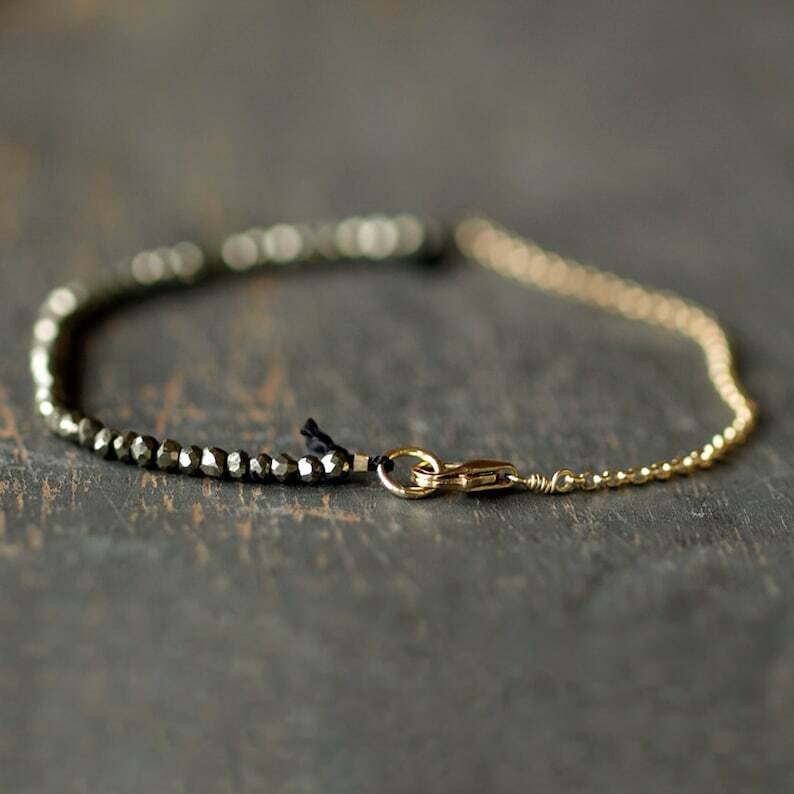 A sweep of lovely, golden Pyrite gems is strung on black silk cord with the ends left intentionally to fray, and juxtaposed with a 14k gold filled chain and lobster clasp. The effect is sparkly and delicate but not overly precious. It's just the right mix of gems, metal, and insouciance. Total length is 7 inches. The gems measure approximately 3mm. NOTE: This bracelet is also available with the gems strung on flexible wire, which adds some durability. Choose your stringing material from the drop-down menu. Absolutely stunning. I am soooo pleased with this shop. Wasn't sure about ordering such a piece online, but wow, it is absolutely incredible. Will be ordering more from this shop!